Adelio Lattuada Srl and Lattuada North America Inc. have been named 2018 winner of the prestigious USGlass Magazine Readers’ Choice Award. Lattuada was a top winner cited for its robotics integration. 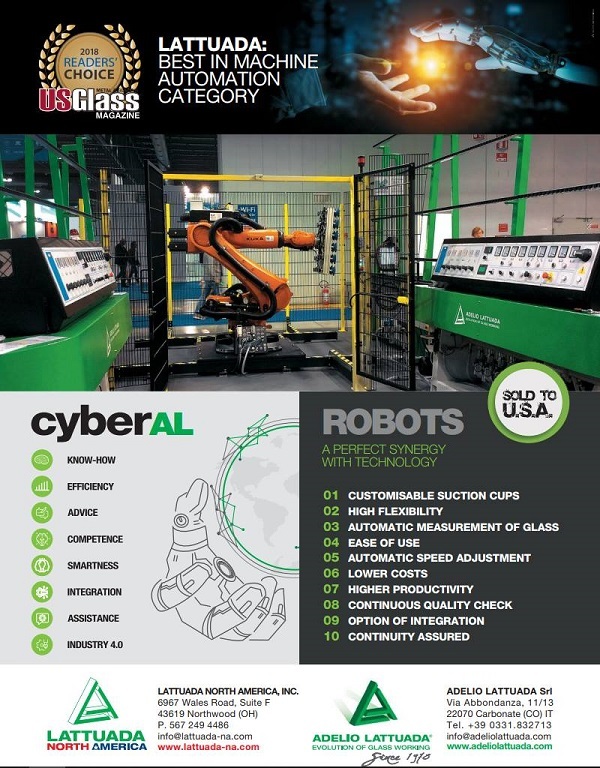 Lattuada was featured alongside other winners in the December 2018 issue of USGlass magazine. 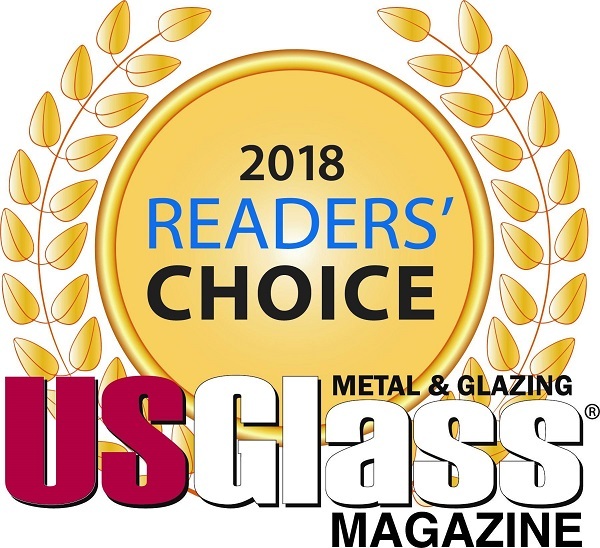 The products were selected through a survey of USGlass readers, who voted for their favorites in a variety of categories and the top vote‐earners were named the winners of the Readers’ Choice Awards. “Being selected as an USGlass magazine Readers’ Choice Award winner is quite an honor. We appreciate that the readers found our integration system to be both significant and award‐ winning.” says Michela Lattuada, Communications Manager of Adelio Lattuada Srl. “We are excited to see the efforts of our staff and team be recognized by the industry we serve.”.